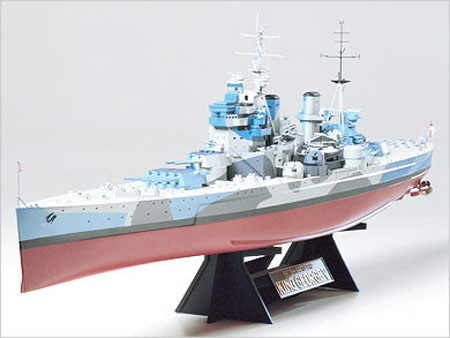 TAMIYA 78010 HMS KING GEORGE 5 BATTLE SHIP (1/350)! Several different guns included for armament. Life rafts and motor boats included.